Dale NasoGastric Tube Holder is ideal for holding nasogastric feeding and aspiration tubes, such as, salem sump tubes, levin stomach tubes, nasoenteric feeding tubes, and nasogastric intestinal tubes. Its skin-friendly adhesive stays in place for extended periods, yet is easy to remove. The unique dual interlocking tabs spiral around the nasogastric tube ensuring superior tube security. how long a feeding tube holder can be used? I want buy some holder for a patient in 1 year. I don't know how many it is needed. Thank you for reaching out to us. 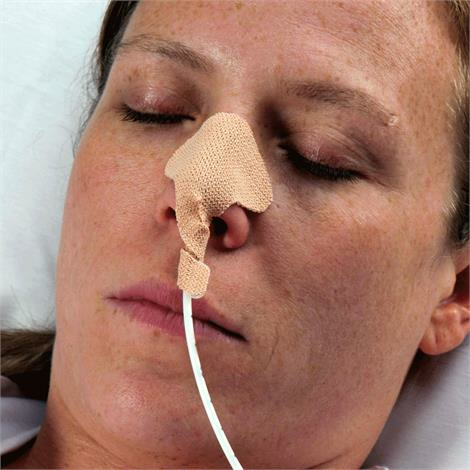 Dale Nasogastric Tube Holders can be used up to 72 hours or 3 days maximum. They should be replaced after this. If the patient sweats excessively or has very oily skin, then the NGTH will have to be replaced sooner.